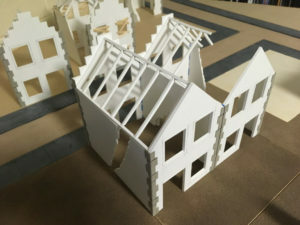 Roofing structures are in place, ready for tiling, wall detail added and base layer of ground work added. 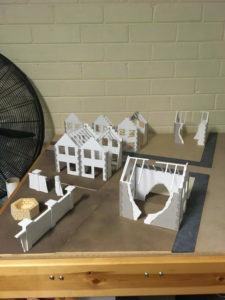 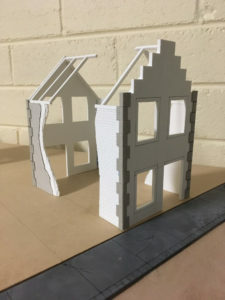 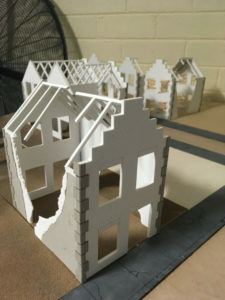 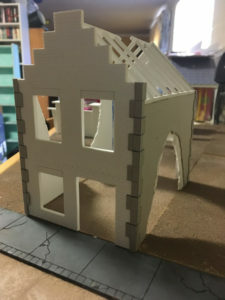 I had originally thought to make the pieces modular but due to warping of the base card I’m thinking of moving back to the MDF. 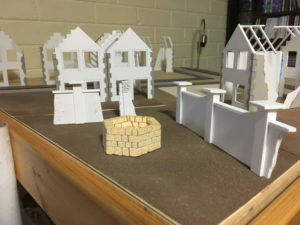 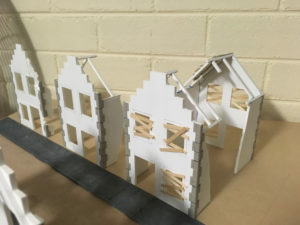 The original idea was to use a slightly thinner card and then apply ground material so that the final thickness would match the thickness of the sidewalk.